A new video! For online platform Young Classicals I recorded Luciano Berio’s Psy! 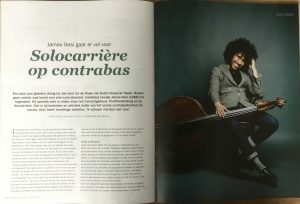 Last month I got a chance to sit down with journalist Mijke van Wijk and discuss my life with the double bass, what I want (and have always wanted) to achieve with the instrument, the winding road that it has all been and what my plans are for the future. 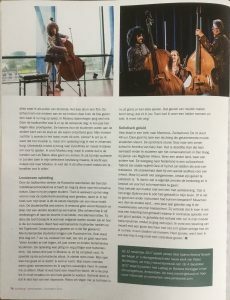 The result is this lovely article in this months edition of Dutch magazine, Luister, which is currently available at all news outlets in the Netherlands! 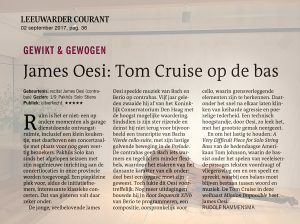 A very nice review of my solo performance at Stinze Stiens in Friesland in the Leeuwarder Courant. You can read it here. 27.07.2017 Solo concert at November Music! 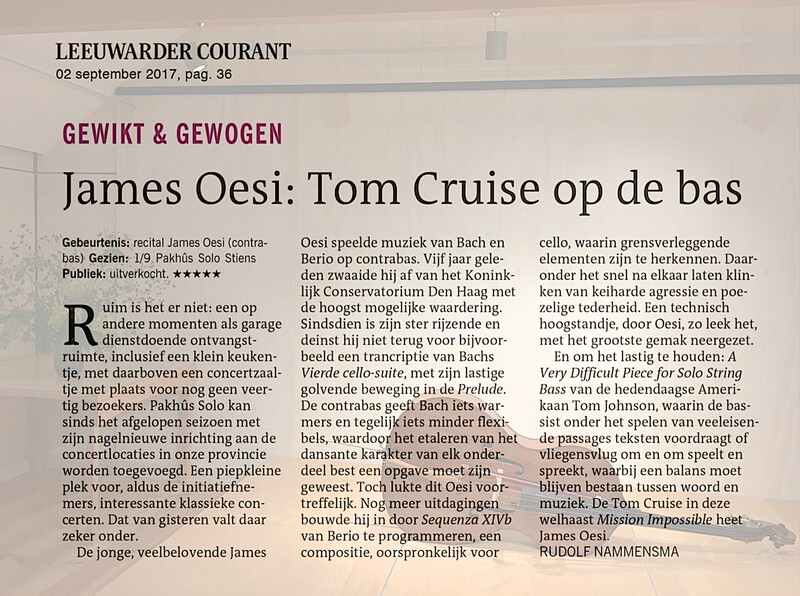 I am already very excited to be performing at this years November Music festival in Den Bosch. A fantastic festival entirely made up of contemporary music, I will be premiering a new work written for me by dutch composer Pieter Smithuijsen! The concerts will be on the 12th of November! 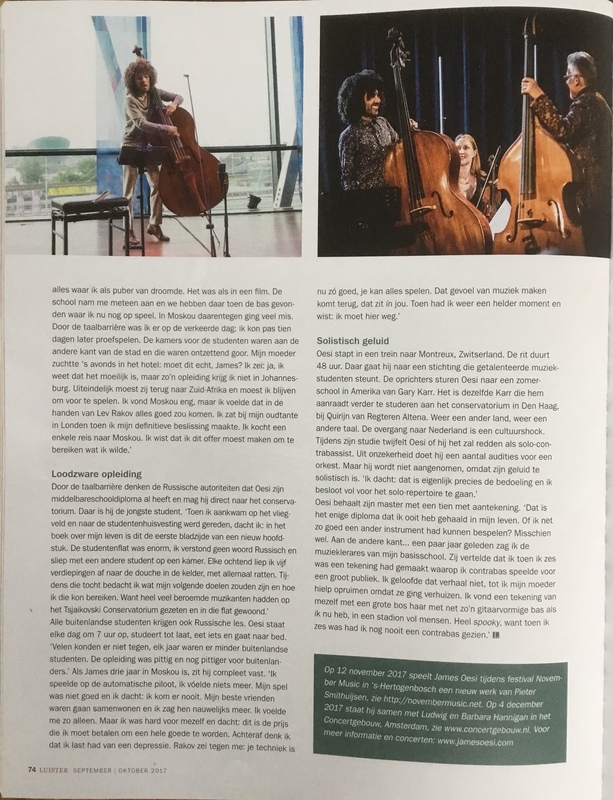 What an honour and a privilege it has been to launch the very first Dutch Double Bass Festival this past weekend in the Hague! The very first Double Bass Festival aimed at a broader public of music lovers! 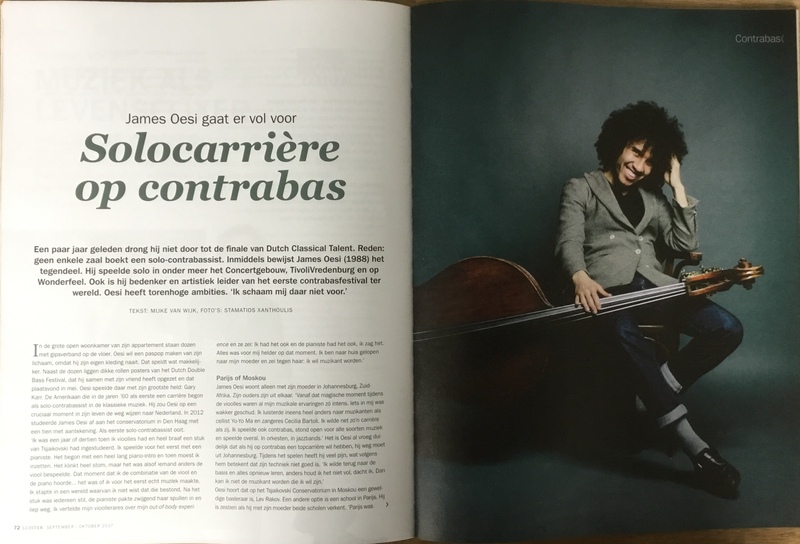 I’m still coming down from what a fantastic weekend it was, filled with inspiring performances by, among others Edicson Ruiz and the Bassists of the Rotterdam Philharmonic, Gary Karr, Adam Ben Ezra, Joris Vanvinckenroye, Dominic Seldis and Wilbert de Joode! I’m excited to already start working on the second edition and want to say a big thank you to all who came out to this exciting event!